As you know, we missed getting our own San Diego coverage this year and you've no doubt seen the amazing pictures all over the web of the Iron Man 2, Tron 2, MotUC and GI Joe events. 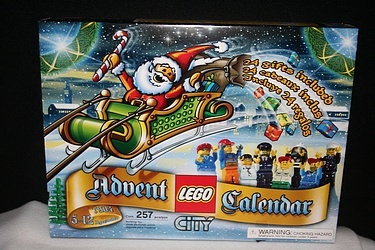 Well, I bet that no where else this week will you see a pictorial of the 2006 Lego Advent calendar - just in time for Christmas in July! Click the image below for more pictures of this set, and get ready in a few more months to see what Lego has in store for us in their 2009 offering! (Or, you can cheat by looking at our 2009 Toy Fair Lego coverage of course).